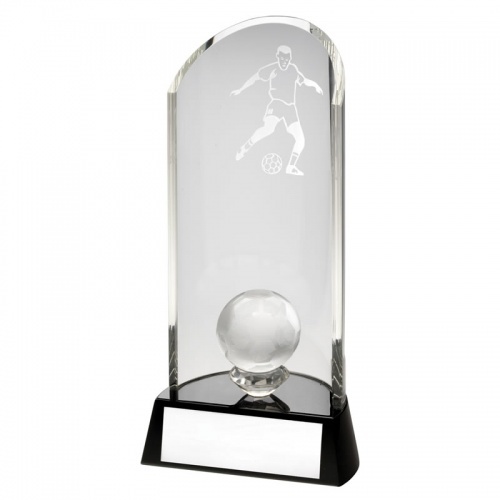 Clear glass curved column football trophies featuring a fully 3-D glass football at the base and laser etched footballer motif within the column. 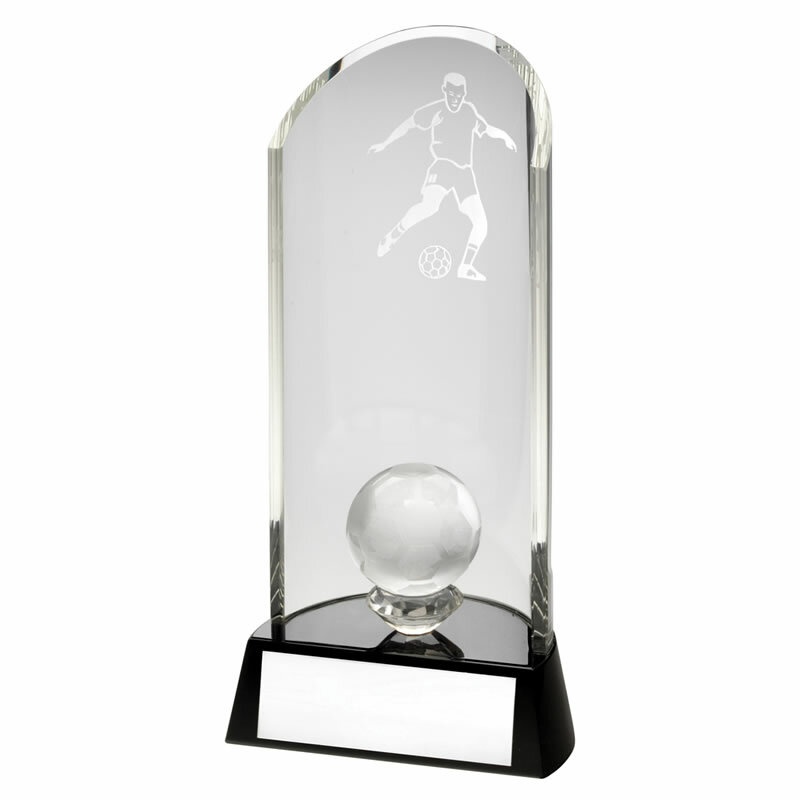 Available in three size options, these superb football awards are mounted on a black glass base with engraving plaque. Offered with low cost engraving and supplied with a quality presentation case.